eart Cleaning is pleased to offer a full suite of services, but predominantly we start with house cleaning! Firstly we will meet up with you and discuss your personal requirements to make sure you get a cleaning service tailored to your own specific requirements. We will then record these and share them with you to ensure we understand each other. By managing your expectations we can ensure your satisfaction. However, we won't be tied to the schedule! 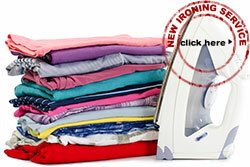 If your washing is left out drying and it is dry, we will obviously bring it in. We know that sometimes it is the small things that count. We will treat your home as our own and 'just get things done'. Arrange items in tidy piles! We will assure you of our respect for your privacy. You can be safe in the knowledge that our staff our discreet and respecting your privacy is an essential (and contractual) tenet! You will probably need to entrust Heart Cleaners with your key to allow us access to your home. Your key holder will be securely stored without any details relating to your address on it. Generally Heart Cleaning expects to use your cleaning materials as these are obviously the ones you prefer. However, we always carry an ‘emergency pack’ with us, so if you do run out we are happy to use our products at no additional cost. When you get home we want you to be able to put your feet up, look around and be amazed! Our Home cleaning services is available to you for just £14 an hour. 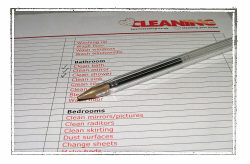 Become one of our many happy and contented home owners, with Heart Cleaning - just contact us here. Heart Cleaning is proud to offer a suite of additional benefits which for no additional cost to you - makes us what other cleaning companies aim to be like! Our trademark for cleaning your house, every toilet roll is neatly folded and stuck down with a heart. If you are away on holiday and we know of a power cut in the area, we will pop round to your house within 24 hours and check everything is OK. This is our bespoke "Here to help" service. Should you need some milk buying? Our cleaner will pick it up on the way to you and put it in the fridge. Lost your key and cannot get in? Heart has a spare key and will be happy to pop round and let you in. Consider Heart as your local concierge service - simply 'here to help'! 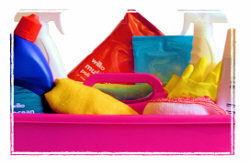 You have Sarah's email and mobile and can contact her anytime with regards your cleaning requirements. In addition you will get our Heart handover booklet where you and your cleaner can leave messages for each other if you are not in - we find this works really well. If you require something done other than our usual clean just leave a message in the handover booklet - and it will be done! All of our cleaners are instructed to work the full hour, so if they do finish their alloted tasks early - they will undertake additional cleaning to suprise you! If you require a service for your business such as an end of tenancy clean of your property, please click here. Mary was very good! Professional and cleaned well. Clean was fab thanks. My life feels a little more tidy already!! Lauren worked really hard, did a great job and has a great helpful attitude!